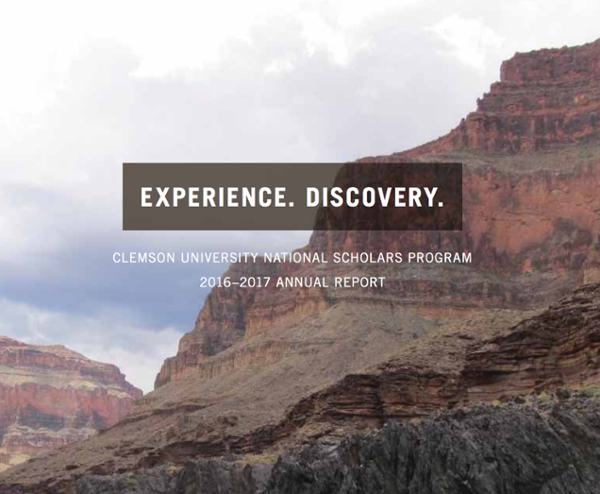 Since 2000, the National Scholars Program has offered unmatched learning experiences to a select group of Clemson University undergraduate students. Their intellectual, professional and personal development have been enhanced by a dynamic, creative and engaging array of educational enrichment experiences. As inquisitive learners, National Scholars strive to understand the world around them and to share their knowledge with others. As leaders in key roles on campus, Scholars shape student and academic life at Clemson. And as National Scholars, these men and women form a strong community that challenges and supports each other in their endeavors. Recruit and select the top high school students from throughout the United States. Provide a competitive scholarship that covers all tuition, fees and other required expenses. Coordinate a rewarding summer of study and travel abroad. Create and program intellectually challenging and rewarding enrichment opportunities. Provide individual and group advising that addresses and enhances the National Scholars’ interests and skills. Prepare the National Scholars to excel in graduate school and on fellowship applications.